The "solution" for lights mounted on a rifle is pretty easy, as its been heavily discussed and worked through. Arisaka Defense takes that solution, removes all the BS that is present in the industry and provides a completely modular system you can customize to your particular setup. 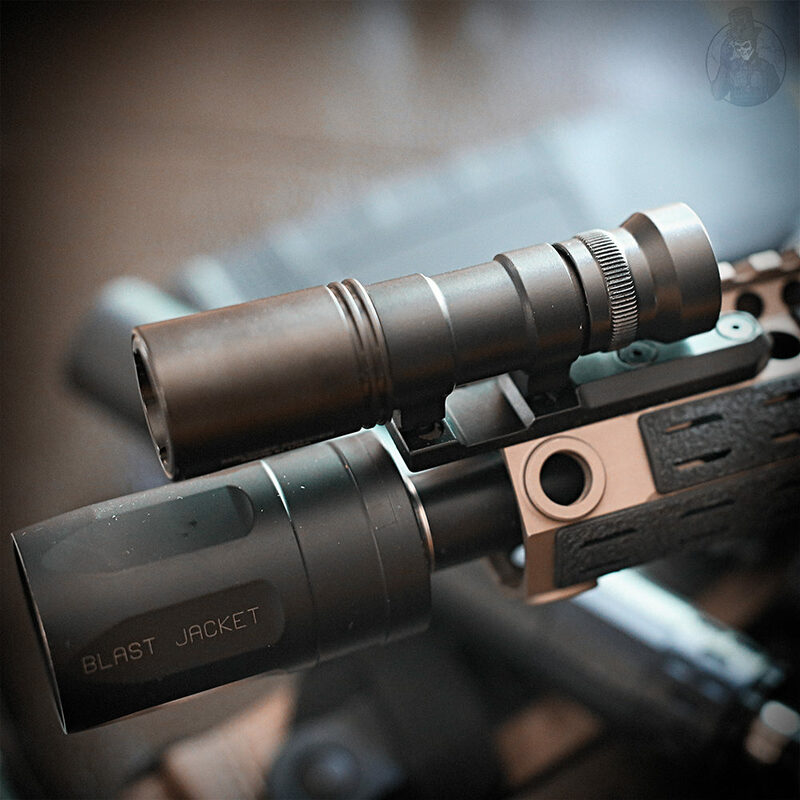 The above photo has a 300 light body , with a momentary tail cap attached to a keymod inline mount , all with a Malkoff head which takes rechargeables .